More totes but what is it? 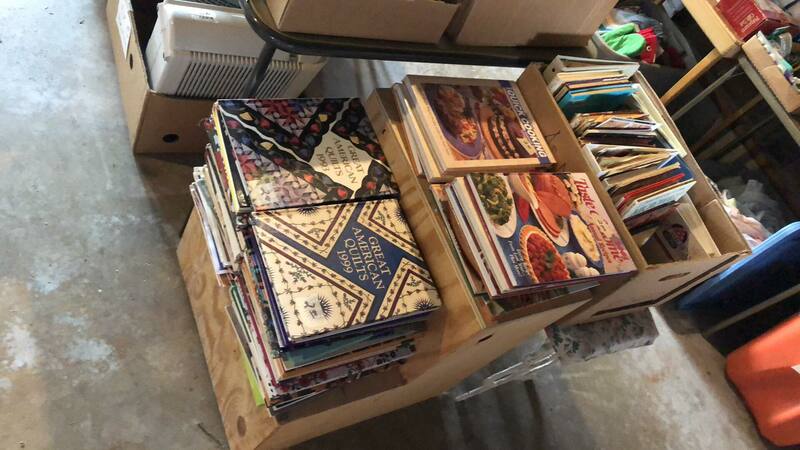 Cooking books oh wait, quilt books too. I ended up calling Kalissa and asking what was in the pictures. 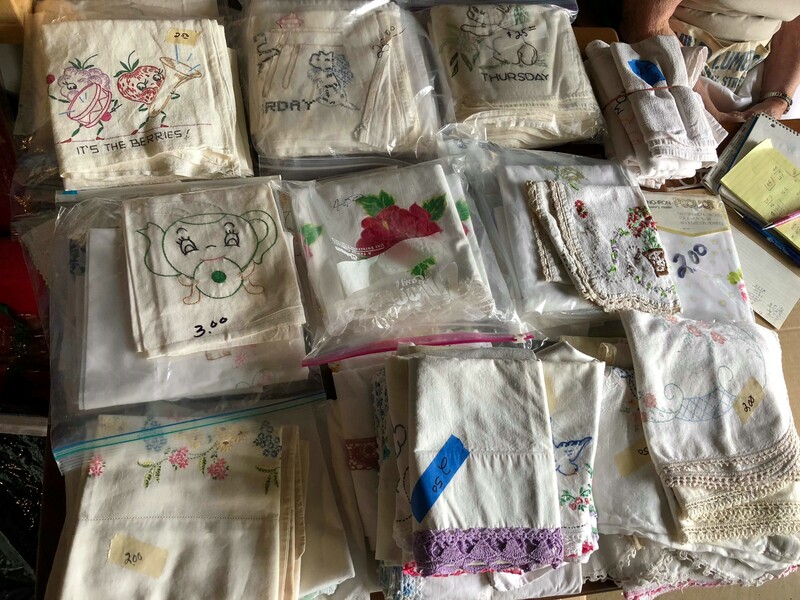 Then see said, “Don’t you see those tables of fabric…and the totes of fabric…and the quilting books…and the embroidery stuff and the sheets.” Oh…that’s what it was. Then Kalissa said she has totes of quilt tops that were $20 to $40 depending on the size. Oh my…and I was stuck doing childcare! Kalissa asked if they would stay open later and I could come after I was done with childcare. They said yes so after childcare was done, I went.The garage sale was hosted by a lady that was my age-ish. The stuff I was interested in was all her mother’s stuff. 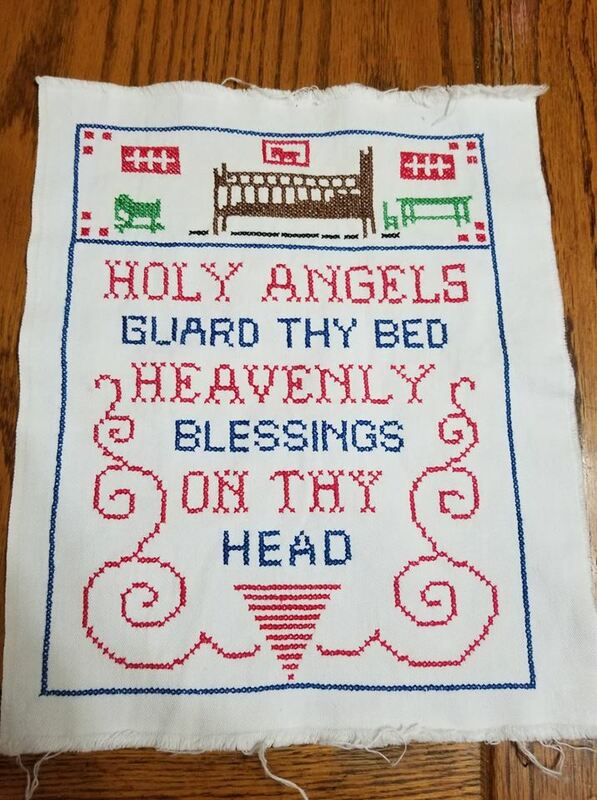 Her mother is a prolific quilter. 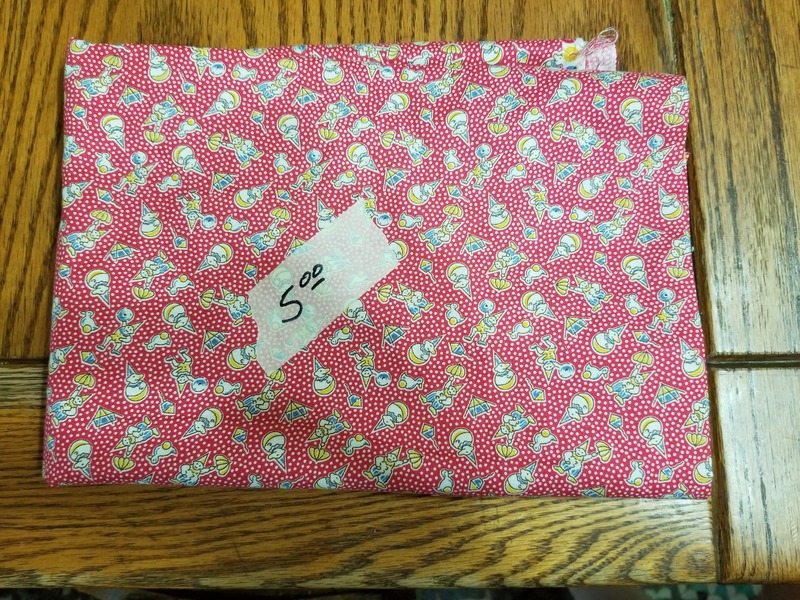 I ended up buying this fabric for backings. I think there is about 8 yards on the bolt…all for $10-not bad. 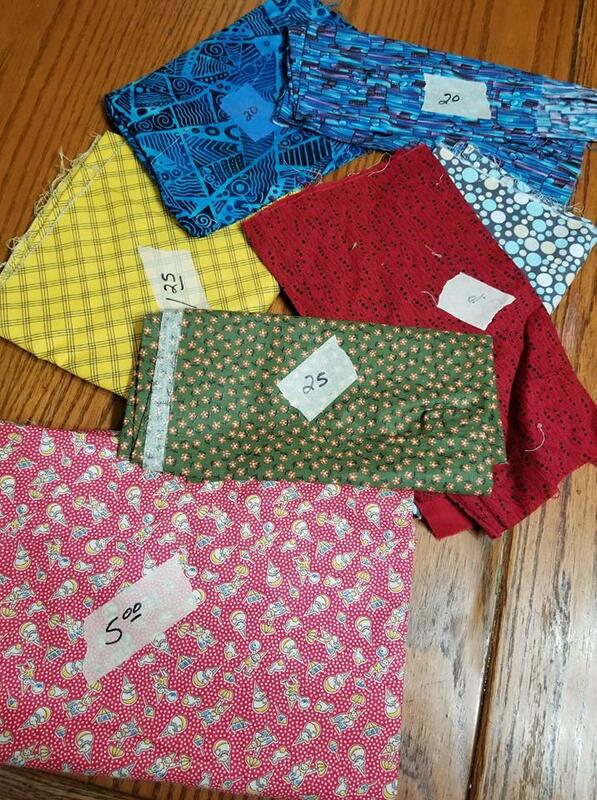 The green piece is 6 yards and was $18. By the time I got there the mother was gone and the daughter was not super friendly. I kind of felt like I was “putting her out” so I looked as quickly as possible. I am sure I would have bought more fabric had I not felt rushed. 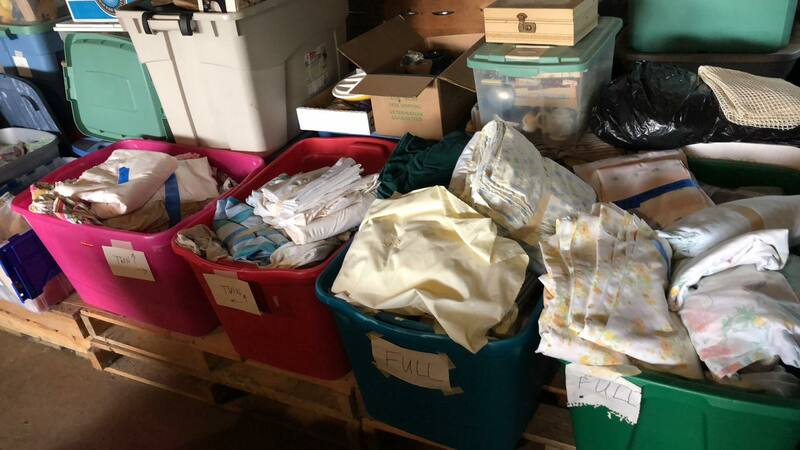 There were totes and totes of “scraps”…most 1/4 yard cuts. This piece was $5. There’s a 1 1/2 yards. 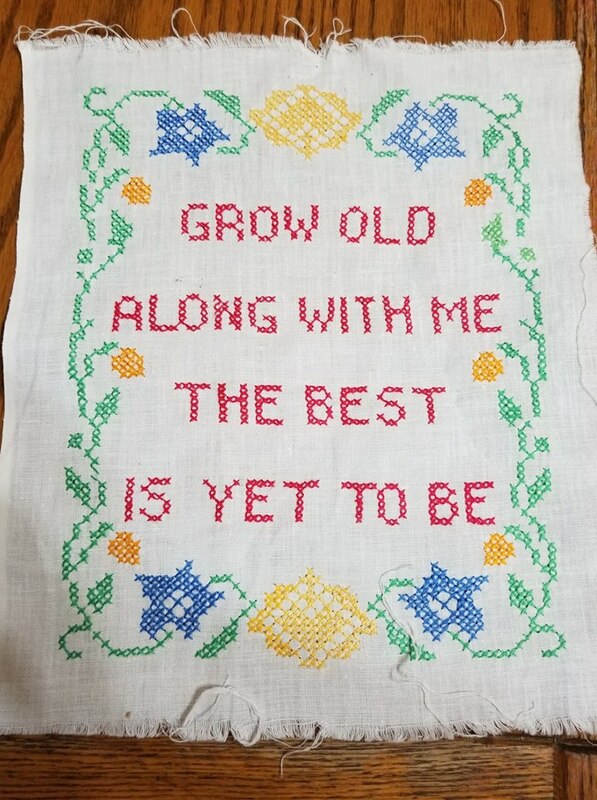 I have a quilt here of Kayla’s I need to work on and this will likely be just what I need to finish it up. 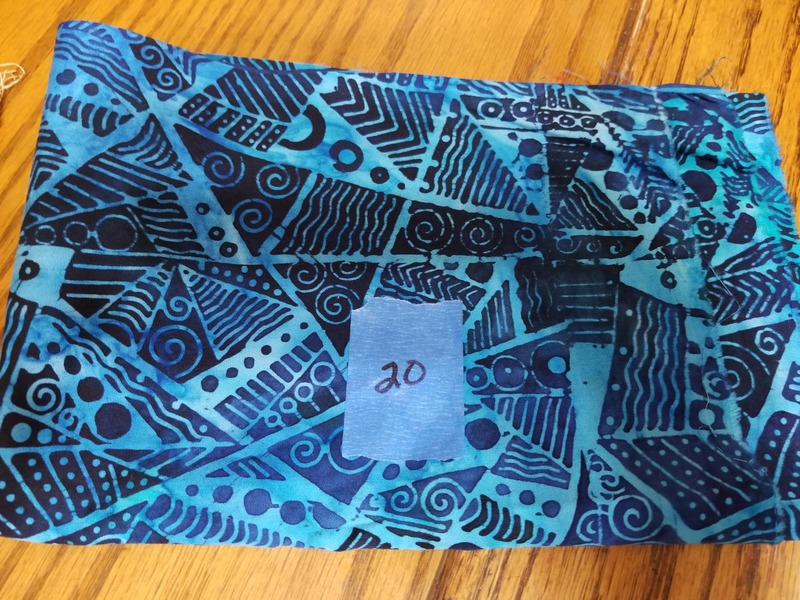 Yes I’ll take batik fabric for 20 cents. I would have dug through all the boxes had I not felt uncomfortable. Carver and Scotty were with and I could tell that Carver was annoying the lady. 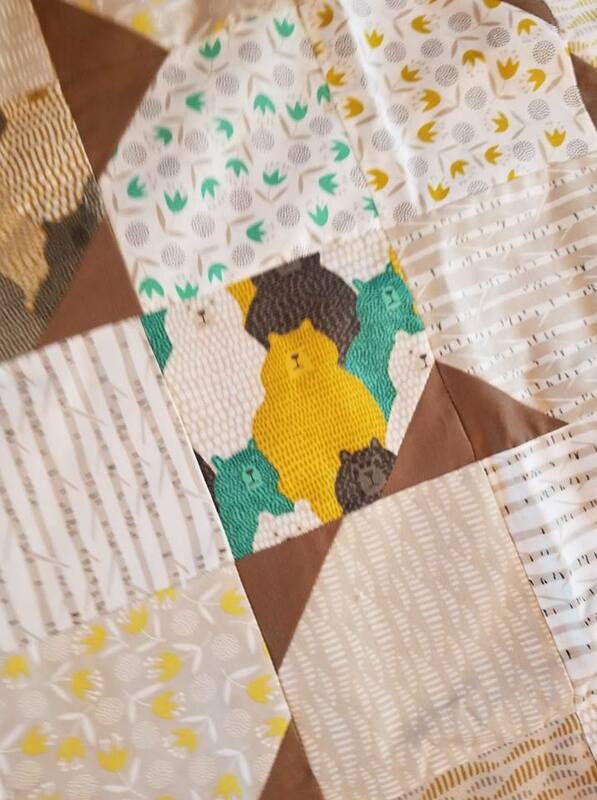 Then I looked at a couple quilt tops. 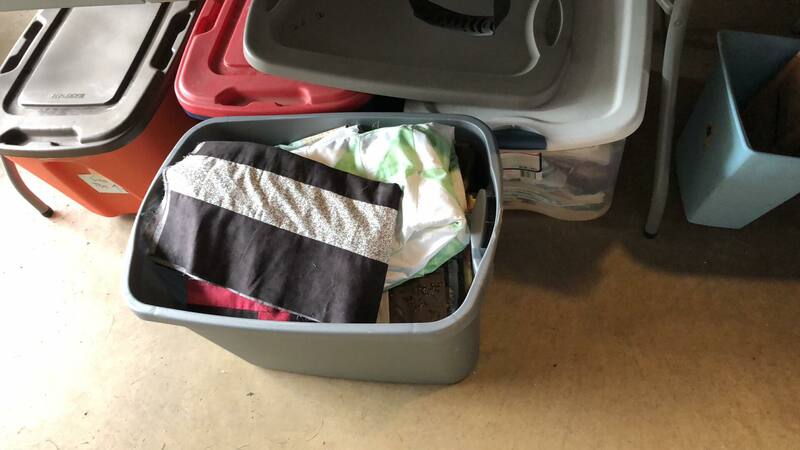 There were FOUR large totes of folded up quilt tops. Oh my. 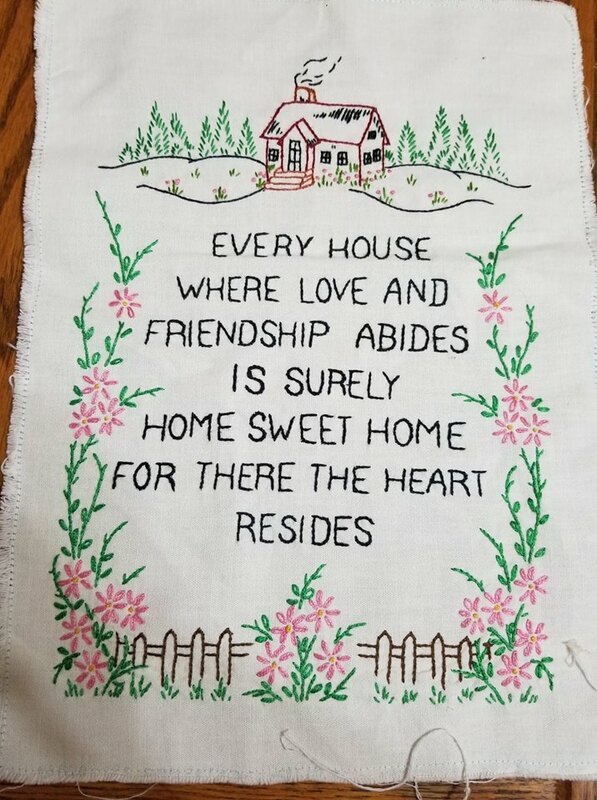 I don’t need any…but I bought this one and will add it to the charity quilts. All baby sized tops were $20. 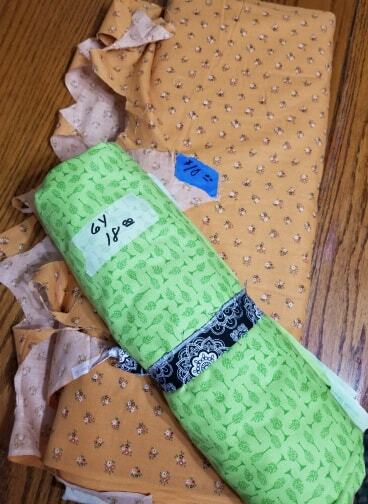 The lady is a very good seamstress. If I had more money I would have bought a dozen or two and finished them for charity but alas…I still have a house that needs to be paid for. 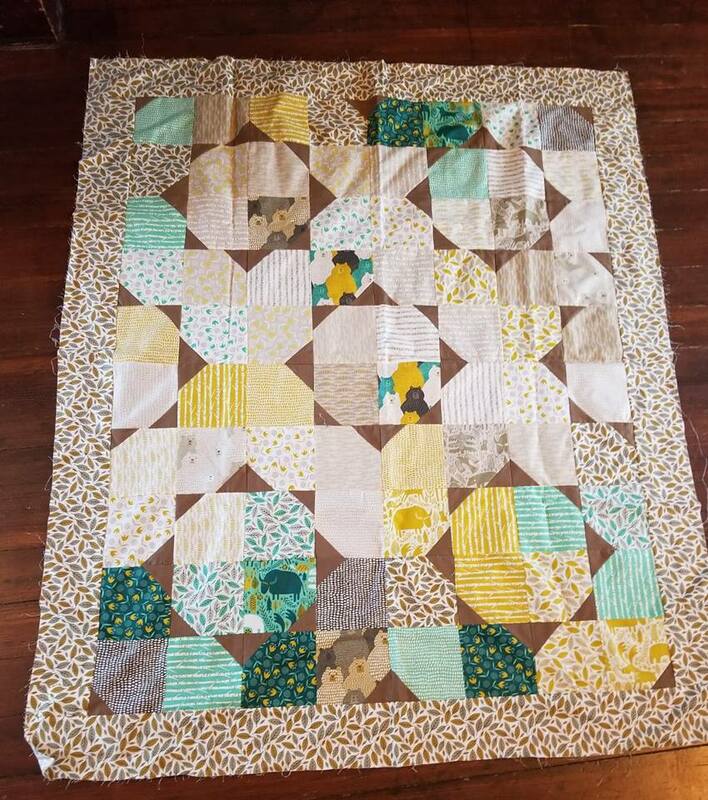 I picked this one as there always seems to be a shortage of boy-ish quilts. 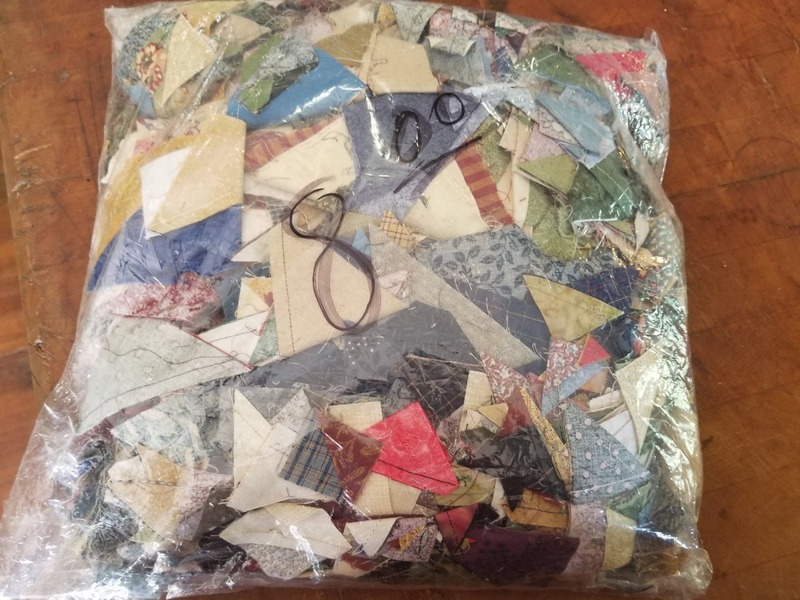 In the FOUR LARGE totes of scrap bags I found this….Do you recognize what it is? Bonus triangles..and a really lot of them. 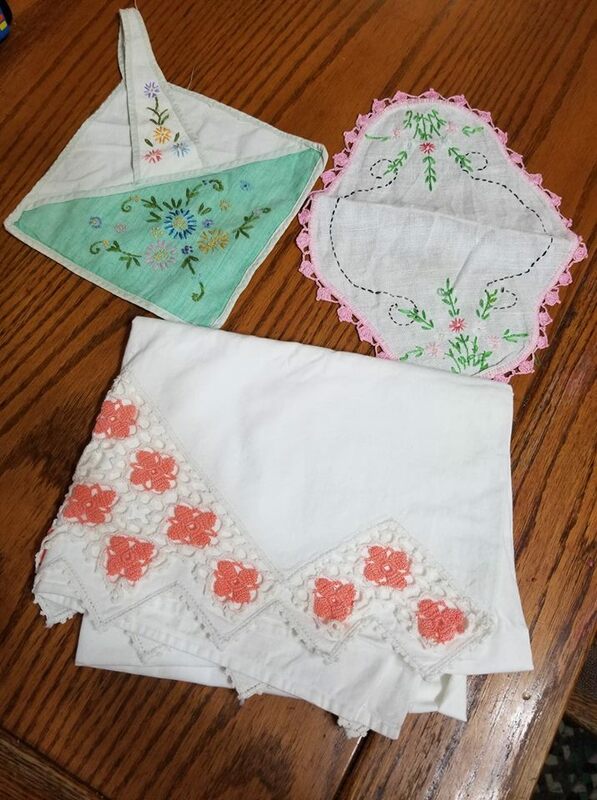 I’m thinking about challenging myself to make a quilt out of them. I haven’t opened the bag. I’m a little afraid if I open it, I won’t get everything back into it. 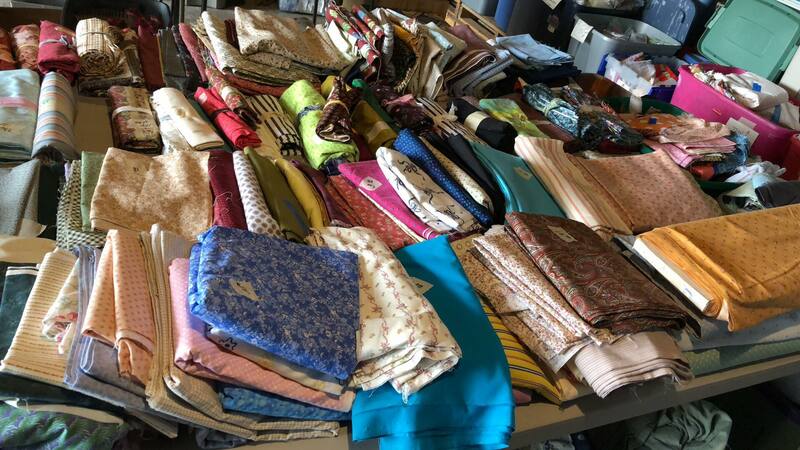 From there I picked out a few linens…. I was a little frustrated as they put the price tag sticker right over the stitching. Then when I pulled it up, the thread came undone. Ugh. 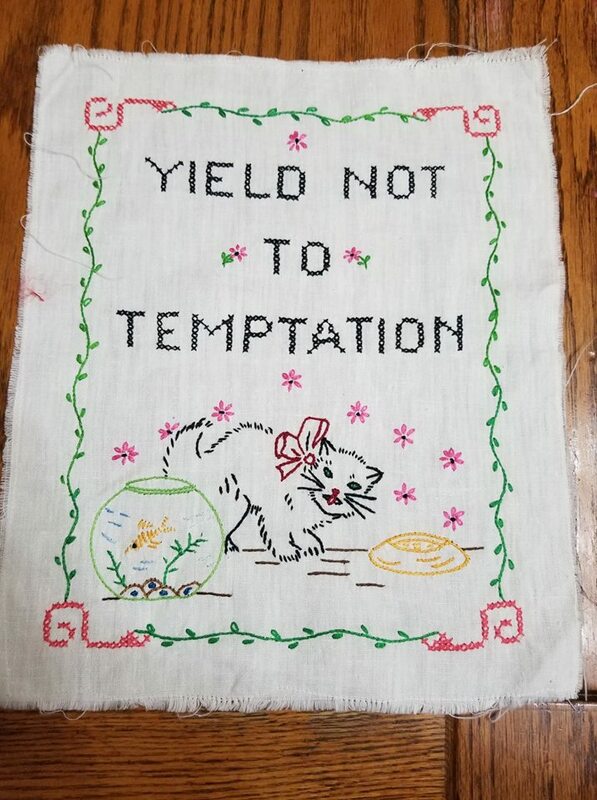 Remember that I’ve been looking for old cross stitch and embroidery sayings…well I found this too. All of the following ones were bundled together for $5 for them all. This one is my favorite…. Well between these and the ones I’ve collected, I’ve decided that I am going to get more selective about which ones I keep and which ones I pass on. At first I thought they would be hard to find but I guess not….I’ve found so many in the last few months. So that was my garage sale finds. 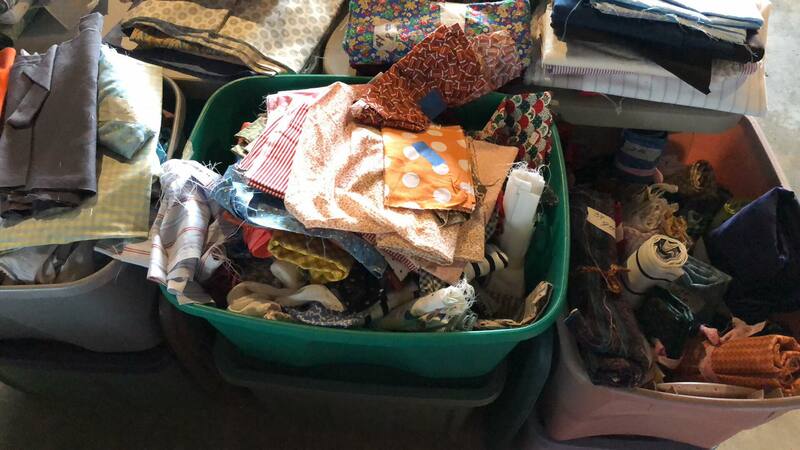 I’m actually happy I didn’t take time to look more…I could have come home with the back end of the truck stuffed full of fabric. YES there was that much and more! I have to kind of laugh. 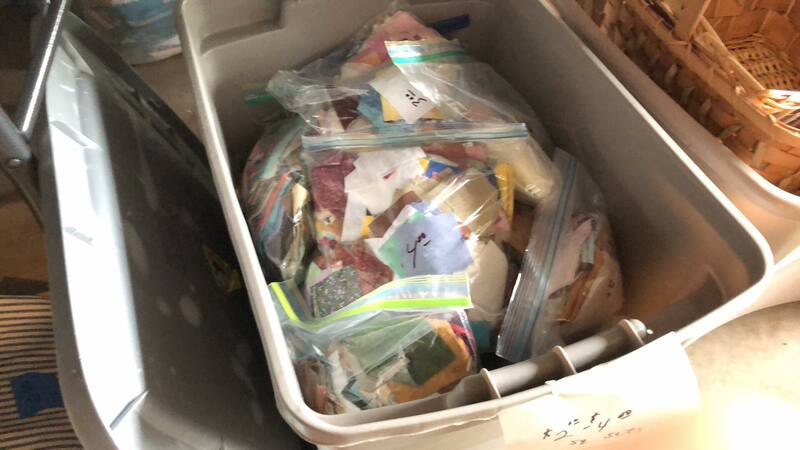 People are always wondering how I find so many things quilting related at thrift stores and garage sales. The truth is, I’m not the only who finds stuff. All of our kids like estate and garage sales. If they find things, they contact me. We have a message groups through Messenger. We write a message and it gets sent out to all of us. Well often Hubby will say something like this, “We need to be on the lookout for a snowblower”. I put it on the group and the kids watch for us while we’re watching too. Thank heavens we have a pretty close knit group and no one minds thrifting. I love having 7 pair of eyes watching….I don’t know if the kids’ spouses like it so much but they are getting used to us. 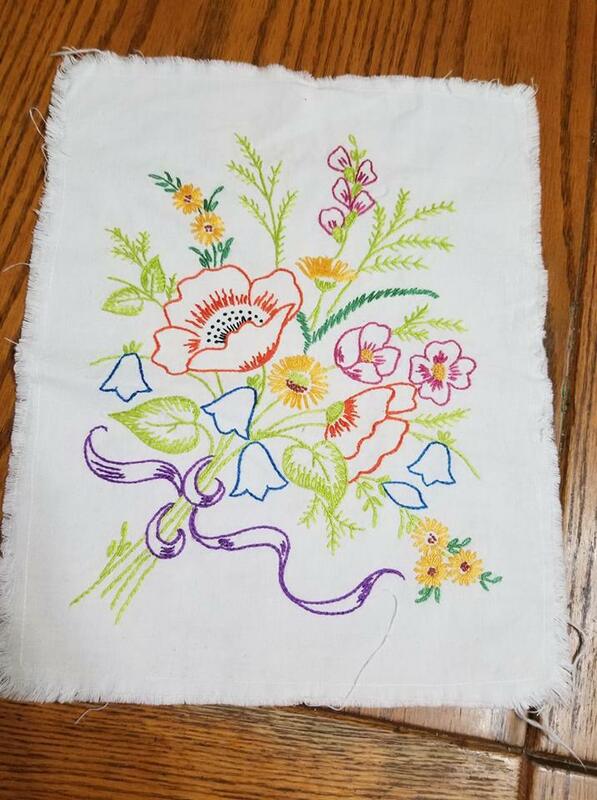 This entry was posted in Thrift Finds on June 25, 2018 by Jo. Hi Jo, I’ve noticed that these posts don’t appear in my facebook feed anymore. Is this a facebook thing ? I enjoy reading about your activities. We’re working on it. Kayla is going to fix it for me but she was in Utah chaperoning a high school hiking adventure through the national parks. She’s just home so I’ll touch base with her and let her know about the problem. Wow! What a garage sale! I never find garage sales like that! Jodie and Jo – I got a message from facebook today stating ‘We are reducing clutter by showing fewer notifications from some groups’. Yes, they had changed ALL of my group notifications to ‘Highlights’. I changed it back, since I had set them to ‘all notifications’ before. I imagine that I will still get all of the stuff that facebook wants me to see that I don’t have interest in! Check your facebook settings – they may have changed them for you. I never see these things st sales and not in the thrift stores either. Maybe for the best. I’d be buying and storing way too much. So much fun to read and see all your treasures. I wonder what quilt books were in that pile of books? Thanks for sharing. I don’t go to many garage sales, but it looks like I better start looking at the ads and craigslist for them. That was a whopper of a sale for crafters. Thanks for sharing. Wow! that was quite the sale and all those goodies to look threw. Glad you got to go back after childcare was done. girl, you did good~~ I am sincerely sorry the lady hosting the sale was not more gracious. Stink, if you have a buyer, which obviously you were buying, stay positive! 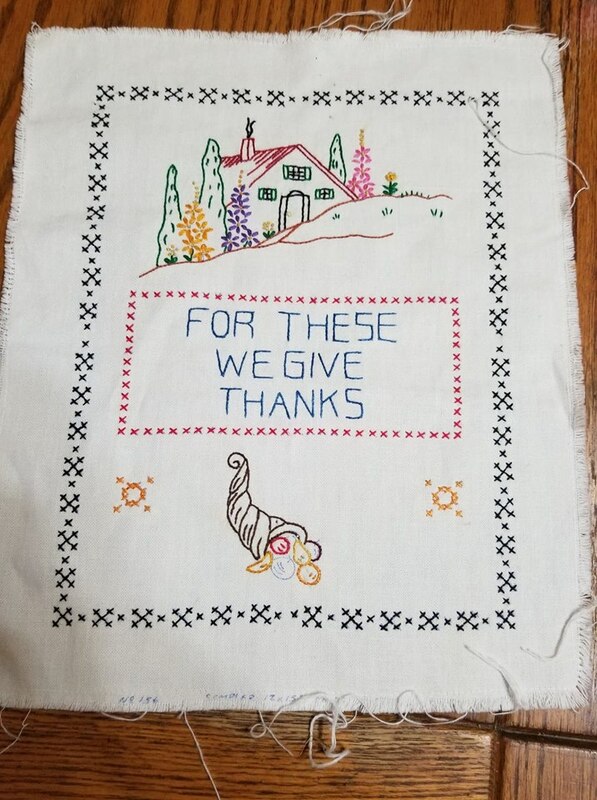 I too love the old cross stitich/embroidery works that give a lesson. 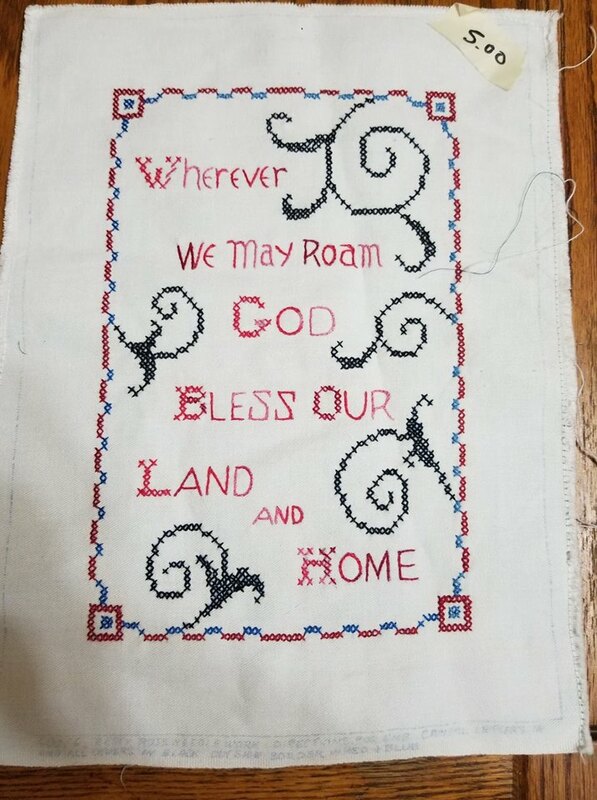 Recently purchased on from Goodwill stitched in 1955.